Customer Testimonials & Reviews - Aim Inc. Customer Ratings & Reviews for Aim Inc. I want to thank Mr. Anand for all of our insurance and financial needs. My wife and I have known Mr. Anand for the past 15 years. He has provided us with professional guidance with our life insurance, retirement, funds, as well as college funds and annuities. Our retirement funds have increased by 13%. I wish we would have met Mr. Anand much, much earlier. Thank him for taking care of our family financial needs with professionalism. God bless him for such a good heart and for helping other families like ours. When harry first came to our home he was so professional and nice he explained everything in detailed about our policies and other offers that his company had to offer, whenever I have called his office and he is not there his very nice assistant would always take a message and Harry would call us back the same day, he is a very good agent and he knows the business well he will not tell you a bunch of none sense or lies, whatever questions we ask he always answer the questions and show us in writing to back his word up, this is a very reputable company My husband and I are very happy with what the company stands for and we trust him, because he always makes us feel at ease we have a good policy. I known Harry for the last 3 years we have a retirement plan with him. He has been very thorough and helpful assisting us in every way. We would recommend him to friends and relatives. We've known Harry for the past 5 years and he's always treated us professionally and like family. He is very knowledgeable about his products and answers every question we have. I would recommend him to anyone. I've known Harry for about 12 years now and recommend to my friends and family for life insurance and also investments. I'm very happy with the growth of my investments and he's always available when you need to talk or meet with him and also will text you back if he's busy. I wish everyone has a guy or gal like Harry on your side. Anthony Gaxiola. Harry has been wonderful. For the last 6 years his knowledge and experience has been invaluable to my current and future needs financially. I would recommend him to any and everyone. I have known Harry Anand for the last 4 years. After I got retired from Kaiser Permanente, I transferred all my Retirement funds to one of the Retirement plan with Life time Income benefit which Harry offered me. I am very happy that I made a good decision and will get Life time Income. When I am gone, my husband will get the same life time income. We will never outlive our money. When my mother passed away, Harry helped me to take care of her funds. He is very professional and he is always available whenever I call him. I have referred Harry Anand to my friends and family. Thank you Harry. God bless you !!!! I have been a customer of AIM Inc at the Upland location for 20 years. Harry Anand and his staff are awesome. Their customer service is great. Harry and his staff go above and beyond to accommodate all of my financial needs. I have referred several friends to Harry's office and they are also extremely satisfied with their services. Harry is a wonderful person. Very easy to work with. He got us a great life insurance policy. We are very happy with the way everything is working out auto-debt, I usually don't trust the banks, but every thing is great. Like I said , Harry and his associates are very friendly and knowledgeable. Harry Anand will get you what you need. Its good to have Harry our family agent. We get good advice. He is always there when we need him. I know him for the last 20 years.He made a good decision,very timely by saving our 4o1k money. He switch our 4o1k money into annuity. That was a very wise decision on time. We have known Harry for approximately 15 years and have been extremely happy and satisfied with all of his recommendations. Insurance policies, investments, college programs for the grandkids, you name it. We always check with Harry first. When TJ was considering retiring , Harry was one of our first calls. He is always looking for ways to improve our investments. Harry has become a trustworthy friend who is always avaiable. From day one he came off as very personable as opposed to a person looking just for a commission. Each time we meet he takes time to ask of the family by name. Thank you Harry for being you. Harry you and AIM INC are the best and we wish you continued success. Harry is the best in his profession. I have been his client for many a years. His staff is very helpful and knowledgeable and eager to help. I have recommended many of my friends and family to him. Thank you Harry for your help. I have known Harry Anand for the last 10 years. He is our Insurance and Financial Advisor. I am very happy with his services. The best thing is that he is always available as and when i need him. He always comes with more benefits for me and my family. I have puchased College funding plan for my children from him. He is also very professional and gentle person. I am very happy that our future is secured. I wish him success in life. Met Harry about 5 years ago, wish we had met 55years ago!! He and his company has bent over backwards to make sure that our financial needs are well taken care of. After retiring from the Los Angeles Fire Department, there were many institutions willing to guide us to financial stability, after meeting Harry and learning of advantages of AIM it was no contest. But what we were really impressed about was the personal service and follow up that was provided. It wasn't as though once we were on board that was it. We feel that Harry is a part of our family now and if I ever have any concerns he is there to assist, guide, and trouble shoot any problems that may arise. I would encourage anyone looking for financial advice to give Harry a call. He can truly be trusted to lookout for your best interest. I have known Mr. Harry Anand for the last thirteen years. My wife Rosa and I are very happy with his services and friendship. We have life insurance and retirement funds in to lifetime income. The best thing about Harry is that is available always and very knowledgeable . We meet him through a mailer and now we are very glad that he is handling our insurance needs, he now is a very good friend. We wish him success in his profesión and a long and healthy life. Harry Anand it has been a pleasure meeting and working with you thank you for being so hands on and informative. Looking forward in continuing our business relationship. We will be sure to tell all our friends and family about you! I met Harry Anand a few years ago and I purchased my life insurance and my retirement plan with life time income benefit from him. My money keeps growing and I am very happy that I made a very good decision in securing my future through Harry. I purchased the life insurance for my children for their future. Thank you Harry, you met me at the time when I wanted the most financial planning help for my children. You really helped me in having piece of mind that my family is protected and secured. I am giving your business cards to all my friends and relatives and you will getting some good referrals. All the best and thank you for helping me. I've known Harry Anand for the last 8 years. He is our Insurance and Financial advisor. Me and my wife Amber have purchased Life Insurance and our children have college plans. We like the Living benefits and also, we invested money for retirement plans We like Harry very much as he is very professional and works with integrity. We have referred Harry to our friends and brothers and sisters. We feel Harry is like a family to us. Thank God, we got a very nice broker. We wish him more success and prosperity in life. "This letter is written as recommendation for Harry Anand. I have known Harry for about fifteen years and have come to know him as a man of great character and integrity. He has also become a good friend and mentor. Harry’s business is financial planning. This is an area of business that requires not only good character but excellent people skills and carrying for others. Harry does all this. It has been my experience that often times when working with financial planners they are interested in meeting you, making the sale but severely lack in follow up or periodic review of your purchased services to insure you are on track to meet your financial goals. This is not the case with him. He follows up, with periodic calls often time suggesting other places to place your funds that will have a better yield or payout at the end of its life cycle. Harry Anand is a consummate professional that puts his clients first and foremost. I highly recommend him of any of the financial services that he offers. I am very glad I met him and can call him a business associate and friend." "My husband Brian and myself has been working with Harry for 10 years now. He had brought to us some great coverage in life insurance that really lifted weight off our shoulders. He found us a policy that we could afford and would cover us if anything would happen. He has checked up on us yearly to make sure that we do not have any questions. Keeping in touch has given us some piece of mind. Recently he has helped me on my retirement that has given me some security and now I know I will have some life time income to enjoy. We have been very happy with his knowledge and help in our life." "My husband and I have been clients of Harry's for nearly three years now. He's helped us with getting the policies we needed. Harry and his staff are great! They are always keeping in touch and coming to us with changes. He is very knowledgeable and professional with the policies. I would HIGHLY recommend him to anyone in need of insurance policies etc. we are also planning on doing our IRA investment account with the lifetime income benefit with Harry as well :) we wish him all the best in life!" Investing your hard earned money to secure your future can be one of the scariest things you do. After meeting Harry Anand at AIM Inc. all my concerns were quickly gone. I have complete confidence and trust in Harry to secure my financial future. Harry is not only a brilliant investment broker he is someone I consider a dear friend. He is very passionate when it comes to investment knowledge and client care. I highly recommend AIM Inc. to all my family and friends cause I want their financial future to be as secure as mine thanks to Mr. Harry Anand. "Harry helped me secure life insurance for my entire family. He also helped me rollover my 401k into a great IRA plan. He loves what he's doing and is extremely knowledgeable in his field. What I love the most is Harry is always available to answer questions." "We want to thank Mr. Anand for all of our Insurance and financial needs. Actually my wife and I have known Mr. Anand for the past fifteen years. He has provided us with professional guidance with our life insurance, retirement funds, and more. We want to thank Mr. Anand for all of our Insurance and financial needs. Actually my wife and I have known Mr. Anand for the past fifteen years. He has provided us with professional guidance with our life insurance, retirement funds, as well as college funds and annuities. Our retirement funds have increased by 13%. I wish we would have met Mr. Anand much, much earlier. We thank him for taking care of our family financial needs with professionalism. God bless him for such a good heart and for helping others families like ours." "Harry Anand has been our long time insurance and financial broker.he has always taken great care of our insurance needs. He also helped my parents when they had a hard time finding coverage harry helped them. My father since passed and Harry Anand has been our long time insurance and financial broker.he has always taken great care of our insurance needs. He also helped my parents when they had a hard time finding coverage harry helped them. My father since passed and luckily my mother is well taken care of thanks to Harry. We look forward to many more years excellent financial dealings. We recomend him to all of friends and familybecause harry feels like family. Thank you very much Harry." I would like to take this opportunity to thank you for your assistance in choosing the best possible life insurance policies for my wife Lori and me. Your professional acumen and pleasant demeanor made this process much easier than anticipated. You were also thorough, punctual, follow-through with all of the details and ensure that communication is complete and regular. Another aspect of your professionalism that really made a huge difference for us was the appearance of how much you truly care about the outcome for each client and how this process will impact their lives. In other words, anyone can sell someone a life insurance policy, but it takes someone like yourself to ensure that the client is getting exactly what they want and need. "My husband and I met Harry Anand at a luncheon we were invited to quite a number of years ago...I've forgotten how many! Suffice it to say, we have not for one moment regretted meeting and working with Harry every since. His commitment to our best interests is visible in the various vehicles we have working through Harry and AIM. The professionalism, knowledge and support provided to us has been and continues to be a tremendous experience. Our relationship with Harry is a friendship above business and above the 'personal' touch. We are grateful Harry is there for us. Thank you Harry! "Harry, my wife and I are very thankful for you coming into our life at a time when our financial future was not looking as good as it had been prior to 2008, and we had no plan as to re-building for our financial future. After losing about 30% of the value on our long term investment to supplement our future retirement in 2008, we met Harry and he showed us investment vehicles to give life benefits for both of us, recover the value we had lost and provide our granddaughter with financial benefit as she matures. We followed his advice and have more than recovered our lost investment value and now have life benefit for each of us and the future benefit to our granddaughter that we did not have before. Harry, thank you very much, we look forward to dealing with you for many more years." Harry Anand has been our life insurance agent for several years. During this time we have built a strong, trusting relationship with him. 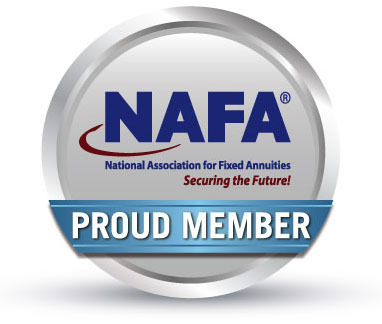 We have also established an annuity through Harry affording us a secure avenue to build retirement savings. Without Harry’s knowledge and experience, we would not have been aware of the concept of an annuity for retirement. We appreciate Harry’s loyalty and commitment to finding us the best solutions for life insurance and retirement savings. "Harry Anand and AIM are to be congratulated us on their commitment to providing great professional financial service and advice Harry has made my entire family feel as though we are the most important clients of the company. He has put my mind at ease when it comes to my financial future. Being retired, I was very concerned on managing my finances for the rest of my life, but Harry has taken great care in addressing those concerns. He explained and layed out everything in terms that we understood completely. I am a retired firefighter for the City of Los Angeles and would strongly recommend AIM and Harry Anand to anyone in my position. Thanks Harry." "We have known Mr. Harry Anand for approximately eight years, and in that time he has helped us tremendously. He has taken one of our stagnant investments, which wasn't doing anything except maybe growing a couple of hundred per year, rolled over the money, closed the account, and placed the money in another company that has more than tripled our investment! We're very blessed to have Mr. Harry Anand as our broker and continue to look forward to doing business with him." "After years of watching our retirement portfolios fluctuate at the whim of Wall Street, Harry Anand's patience and knowledgeable guidance has brought us to a point where we can retire with the confidence knowing that we will not out live our retirement funds. We encourage anyone who wants to ensure a comfortable future to contact AIM and have a serious discussion with Harry." Excellence, Kind, Integrity, Compassion, Hard Working, Caring, Honest, Dedicated, Good Human! "This is my testimonial, my writing is not so good but it is heartfelt! I recommend and encourage anyone to let Harry arrange and advise your planning for today and your future! It does not matter if you are of average or affluent income if there is a way and you are willing to just talk with him openly he will find what works for you and your budget . He might even suggest something you never even considered! I have worked with other agents in the past professionally and personally at different times and though I don’t work professionally with anyone anymore for many years. and I only work with Harry personally I can honestly say in my opinion I like him the best! I TRUST HIM. He is one of a kind a true expert in the field! he is not only our agent and a trusted confidant he is always there when you need him with any question or concern, he goes above and beyond and cares about people and what is a good fit for people not a good fit for a sale. He is our friend and we think of him as family . when I received a call from Michelle at his office, I almost did not take her call as I no longer do phone or door sales. As I was about to hang up, I listened more and she said exactly what I was already looking for as I was privately seeking and researching a financial adviser and agent. Let me just say it was a blessing that I decided to talk with her and that also she is just as professional and kind as can be. This call lead us to our trusted adviser agent and now friend! We are forever grateful to Harry for helping to make things happen for us and giving us just what we needed! With heartfelt gratitude to Harry and to who may view my letter, I wish you all the best and much good health success and longevity!" "Harry, I want to take this opportunity to thank you for two decades of service. Starting as a business relationship, I feel that the relationship has turned into a friendship that both, Helga and I, have grown to cherish. Your expertise in the financial world has gone way beyond comparison to anyone we have ever dealt with in the past. You have helped us stretch our financial worth to the max. We truly appreciate you and your efforts. It has been a wonderful windfall of friendship and finances. Once again, thank you for being there for us." "I want to express my appreciation for all the financial and insurance assistance that you have provided for me and my wife. I am pleased with the current investments and policies. It is good to work with someone that has not only exhibited integrity, but has also shown expertise and competence in your line of business. On behalf of my wife and myself, I want to say thank you once again." "I always felt harry had our best interests at heart; it has developed over the years as having both a personal, and professional relationship together. I have recommended Harry to family members, as well as coworkers, who each have indicated that the service Harry provides in finding a way they can afford and earn through investments, is a blessing." "Thank you from the bottom of our hearts for providing the highest level of service to us. The amount of support, knowledge, and professionalism that you have shown us, is by far the best we have ever experienced. We will be forever grateful for all the time, patience, and support that you have given us. It has been such an awesome experience conducting business with you. We are looking forward to what lies ahead for our future now that you have gotten us on the right track."